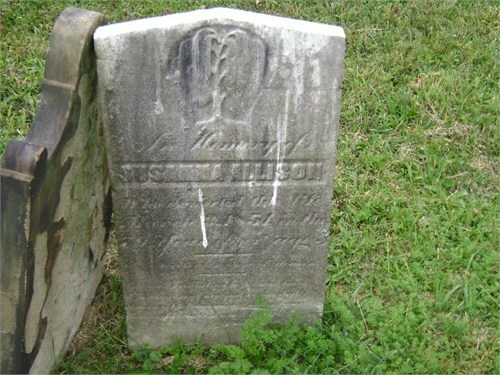 George Allison stone in old Pine Creek Cemetery or Cross Roads Cemetery? -burial: old Pine Creek Cemetery, Fox Chapel, O’Hara Township, Allegheny County, PA (see cemetery “Show map” for GPS) Why is she buried apparently at a different location than her husband? 1. James A., Sr. (1794-1866) b. Chester Co. or Cumberland Valley, PA; r. Hampton Twp. PA, 1810 (m. Elizabeth Brickell; Tanner & farmer) Son James, Jr. D.D. (b.1823) was editor of national Presbyterian Banner. Daughter Lydia married Thomas P. Austen, a cousin through marriage to our Pearces who married into the Nelsons below. 4. Elizabeth (1805- ) Twin? 7. George, Jr. (1810-1881) b. PA (m. Matilda Kennedy) 200-acre family farm became post office at DeHaven Station (1889), Allisonville, and eventually Allison Park (1909); active in Herr’s Chapel U. B. Church, McCandless Township. One source has him buried in that cemetery, while another has him at Cross Roads Presbyterian Cemetery, Pine Twp. * this source has our George, Sr’s m2. as Martha McDonald (1787-1855) with nine children, although clearly some later ones (James, Jr. & John) are his grandchildren. 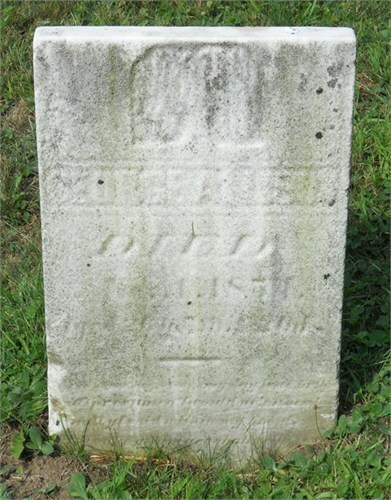 This source has him buried at Raccoon Church Cemetery in Candor, Washington County, PA.